In case you missed out on Steam’s previous sale that ended just a couple of weeks ago, then you’re in luck as yet another sale is starting soon as the Chinese New Year approaching fast. 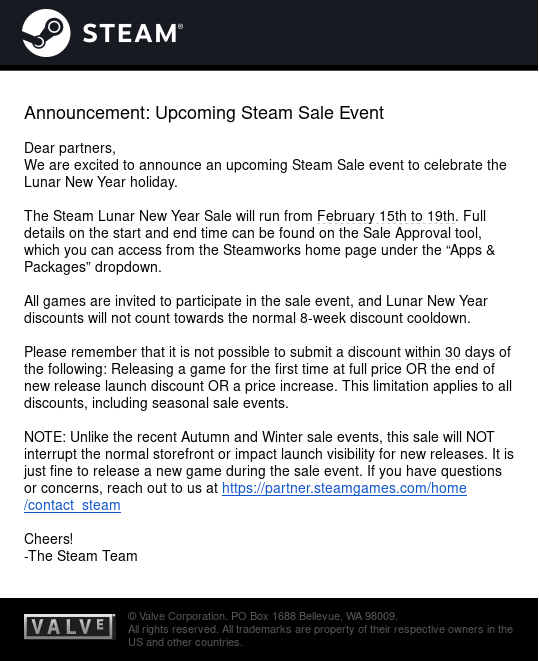 According to Steam Database, the next Steam sale will be the Lunar New Year Sale during mid-February. Steam also followed up its big Winter Sale with a Lunar New Year Sale in early February in 2016. Although it didn’t happen in 2017, it is highly possible that we’ll end up seeing the sale this year. And if the information coming from Steam Database is something to go by, then the Lunar New Year Sale and will run from February 15th to 19th. 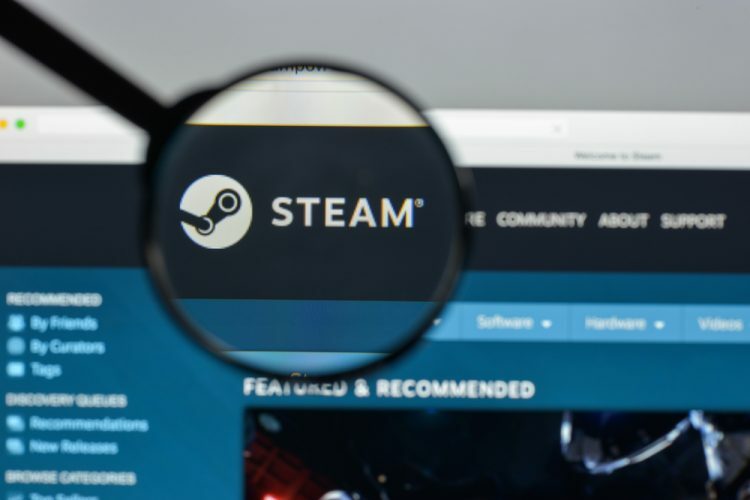 Although this is a shorter run than most other Steam sales, it is plausible considering the fact that it is just another seasonal sale and not one of those large summer or Christmas sale. That being said, the Lunar Sale is expected to appeal to the Chinese audience. Thanks to PUBG, the platform is seeing significant growth in China. Lastly, even though the dates are unconfirmed, it is still a sufficient excuse to start making a wishlist.